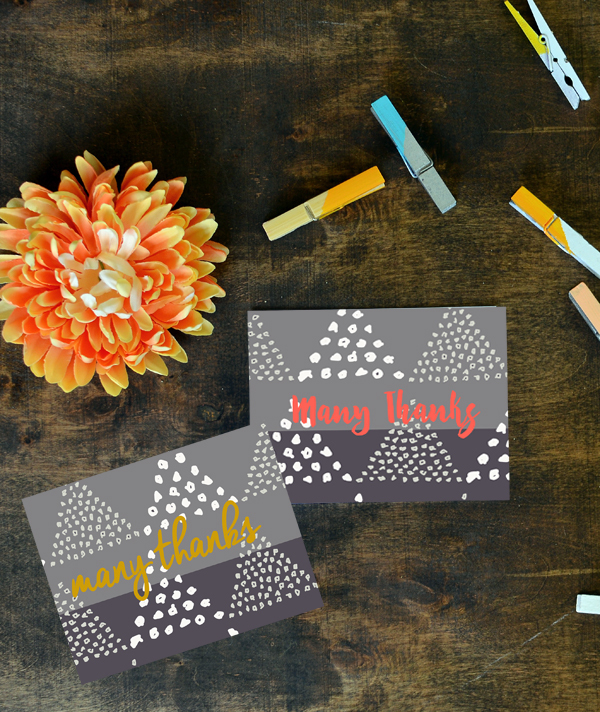 ' Dots and Triangles Thank You Cards || Free Printable - Sisters, What! Thanksgiving is a fantastic holiday that is sadly forgotten because of Christmas and Black Friday every year, I've started calling it the forgotten holiday. But it is not forgotten here! I love this quote about gratitude and the peace it brings to our lives. Who doesn't need more of that?! "Gratitude expressed to our Heavenly Father in prayer for what we have brings a calming peace - a peace which allows us to not canker our souls for what we don't have. Gratitude brings a peace that helps us overcome the pain of adversity and failure. Gratitude on a daily basis means we express appreciation for what we have now without qualification for what we had in the past or desire in the future. A recognition of and appreciation for our gifts and talents which have been given also allows us to acknowledge the need for help and assistance from the gifts and talents possessed by others." We hope you have a great Thanksgiving and remember to be grateful each day, not just Thursday, for all you are blessed with!